How do I archive an item on a 1on1 agenda in Bridge Perform as a manager? As a manager, you can archive and restore agenda items on your employee's 1on1 agenda. In the Global Navigation menu, click the Application Switcher icon , then click the My Team option . In the My Team page, locate the employee's card and in the agenda drop-down menu, select the Check-in option . Then click the View Agenda button . View your employee's 1on1 agenda. To archive an agenda item, hover over the item and click the Archive icon. To view the archived items page, click the More Options icon  and then click the Archived Items link . View the archived items. Archived items are listed in chronological order. To search for archived items, enter your search terms in the Search field . To restore an archived item, hover over the item and click the Restore link . The item will return to your employee's active 1on1 agenda. 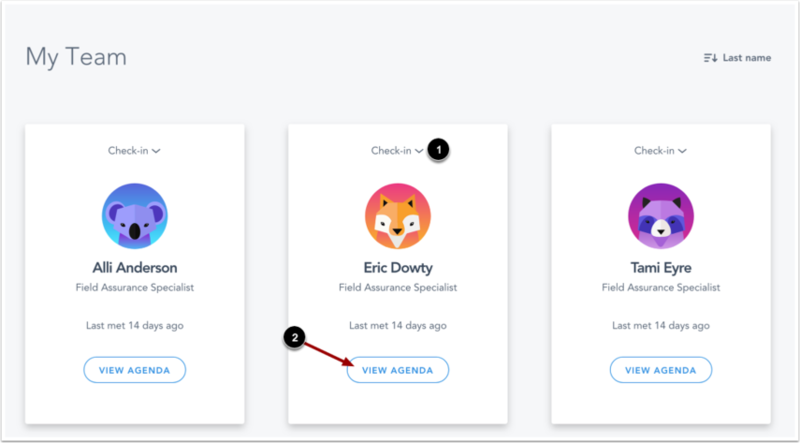 To return to your employee's active 1on1 agenda, click the Back to Agenda link . Previous Topic:How do I add an item to a 1on1 agenda in Bridge Perform as a manager? Next Topic:How do I view 1on1 agenda history in Bridge Perform as a manager? Table of Contents > Manager > How do I archive an item on a 1on1 agenda in Bridge Perform as a manager? How do I use a 1on1 agenda in Bridge Perform as a manager? How do I view 1on1 agenda history in Bridge Perform as a manager? How do I add an item to a 1on1 agenda in Bridge Perform as a manager?